5) The web wants you to communicate. Using these 5 principles, participants will explore how to design for a web that is evolving based on these principles in a way that is significantly different from existing design methods. 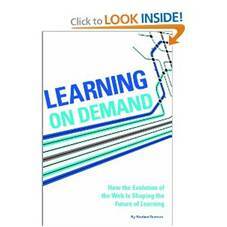 This session will be based on the principles of Reuben Tozman’s new book, Learning on Demand (available from ASTD Press. Use chapter code CH8091, when ordering). Speaker Bio: Reuben Tozman is the President and founder of a rapidly growing learning services company, edCetra Training. edCetra Training is focused on the design and development of customized e-learning programs, and specializes in single sourcing of content. Reuben received his Masters degree in Educational Technology from Concordia University in Montreal, Quebec, and has worked as an instructional designer, a project manager, consultant, and product manager within a variety of organizations.